In many ways, I’m still the girl who needs advice on how to get published. Sometimes it’s hard to believe that in the last 10 years, I’ve had 7 books published, three of them for children. That said, a lot of people have been asking me how to break into the world of children’s publishing lately. After a great guffaw (as in, “you’re asking me?”), I would say the following 6 items are essential. I’ve written them in the form of a letter. 1. Join a critique group. Yes, it may take a while to find the “right” group, but I don’t know anyone whose manuscript is ready to submit by the first draft, or even by the 25th draft, in the case of my story, Double Happiness. 2. 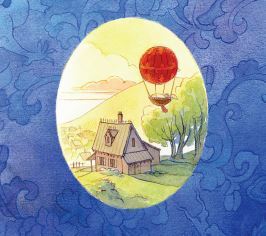 Join and attend a SCBWI (Society of Children’s Book Writers and Illustrators) conference. Not only will you meet others who are striving toward the same goal, but you will connect with agents, editors, and well-known authors who know their stuff. 3. Look for an agent. The right agent not only moves your manuscript out of the publisher’s infamous slush pile, she makes your stories shine. Not to mention, it’s a little known fact that the best agents are fully trained as counselors who will wipe away your tears and tell you to get back in the writing saddle. 4. Write (and illustrate) more than one story. I can’t tell you how many people have told me they have a story, but they haven’t written it yet. Or they’ve written one story, but that’s all. You need to have at least 5 quality manuscripts in your back pocket when you’re working on Steps 1-3 above. 5. Learn to listen and have a bucket load of patience. It’s the only way your dreams will come true. Each rejection, each road diverged, is a learning experience. If you close your ears to some of the best advice you can find along the way, you’re going to end up at a dead end vs the mountain top. 6. And, once you’ve “arrived,” once you’ve been published, never forget that you, yes you, asked a lot of questions along the way. Maybe it’s your turn to share your knowledge. After all, a generous author is a happy author. ©2015-2019 Nancy Tupper Ling. All Rights Reserved.